My week of work experience began on the 1st April 2019. This first Monday started quickly and was a rather lot to take in. The training commenced. It started with a Health and Safety talk and an overvie w of SPEAR; which included SPEAR’s aims, the different organizations and departments within SPEAR such as the Outreach team. The training then began with a walk through of the SPEAR website which included: navigating the software, learning how to edit pages and understanding how to write posts. This training was immediately put into action; with the skills learned being put to the test and assessing the work which is put into editing the website and keeping it looking professional. Moving on to Tuesday. 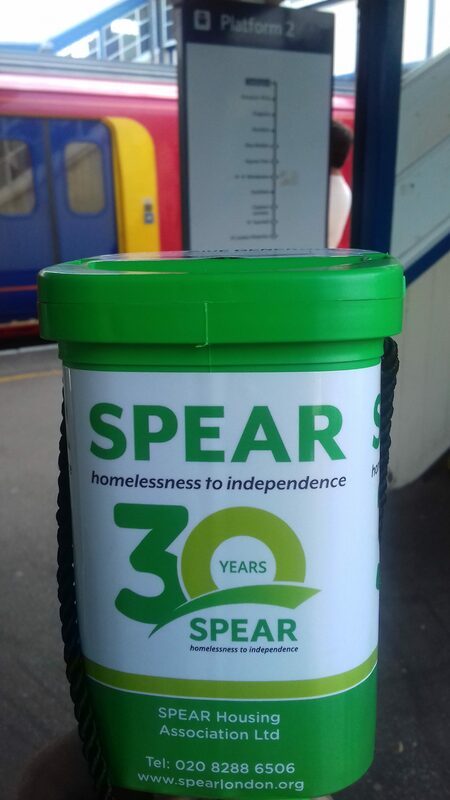 The day was faced with an early start due to a collection at Teddington Station which would offer more experience and insight into SPEAR’s fundraising. The day then continued with a talk to Criminology and Sociology students at St Mary’s University who were interested in the links between homelessness and crime rates. The talk offered added wisdom to the behind the scenes of SPEAR and the need to spread the word about the causes and prevention of homelessness. Wednesday provided the most interesting start of the week with the allowance of sitting in on a meeting with Baroness Van Dedem who has kindly offered to host an Art Fair and Garden Party for SPEAR at her residence of Trumpeter’s House. This meeting awarded understanding of the planning of events which SPEAR regularly put on. The day then took a more media related approach to the running of SPEAR with more planning of events, however this time it was planning and designing posters and flyers for a Smoothie Challenge aimed at school children. Wednesday then continued with creating and amalgamating images and videos from past events for a film which is being made for SPEAR. Wednesday finished with a walk through and a lesson of the SPEAR database. Thursday continued along the same vein with continued planning of this Smoothie Challenge event with designs and slogans being explored. The day then took a turn with an intriguing meeting with Stuart Nevill, the CEO of SPEAR, who explained the general aims of SPEAR, the role of (and the differences between) Trustees and Management and answered questions about both the business and media sides of SPEAR. Thursday finished with making a Presentation which included a lot of SPEAR’s statistics as shown in the Impact Report. These explorations further added to the experience of the work environment which was occurring. 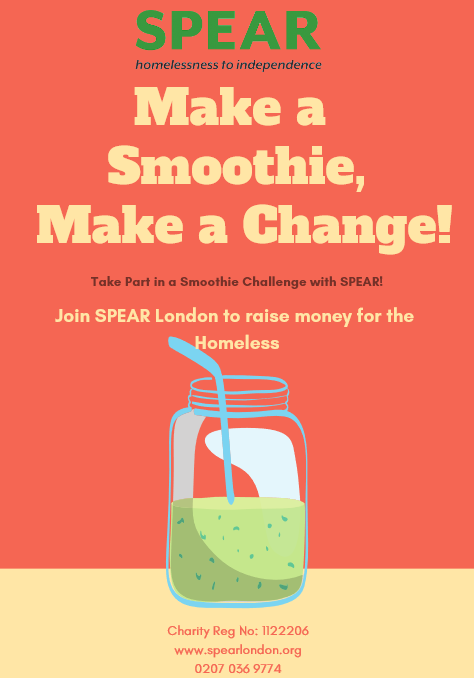 Friday, the final day, began with finishing work from the day before (the Smoothie Challenge event), then having a review of the week, an overview of the fundraising structure and finally a recap about the different parts and elements within SPEAR.